American appetite for electric vehicles is heating up. 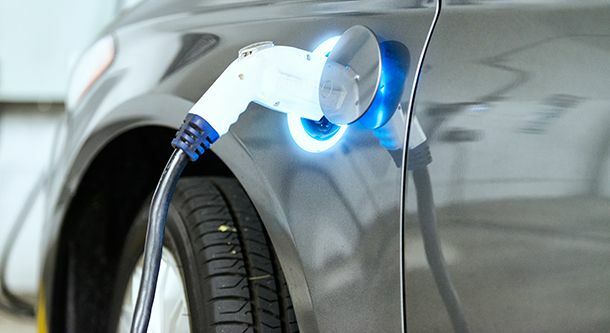 A new AAA survey shows that 20 percent, or 50 million Americans, will likely go electric for their next vehicle purchase, up from 15 percent in 2017. With lower-than-average ownership costs, increased driving ranges and the latest advanced safety features, AAA sees a strong future for electric vehicles. To help “green” car shoppers make an informed choice, AAA conducts independent, rigorous test-track evaluations of plug-in hybrids, hybrid and fuel-efficient, gas-powered vehicles. While range is important to most (87 percent) electric and hybrid vehicle shoppers, it is not the only consideration. Reliability is king with nine-in-ten (92 percent) of those likely to by an electric or hybrid vehicle stating it is important when evaluating which car to buy. Electric and hybrid car shoppers are also prioritizing crash ratings (77 percent), cost (71 percent), acceleration and handling (69 percent) and advanced safety technology such as automatic emergency braking and lane keeping assistance (60 percent). Fewer drivers are concerned with style, color, or design of the vehicle (34 percent) or brand of the vehicle (33 percent). Full survey results available here . To help drivers looking to making the switch or find their next green vehicle, the Automobile Club of Southern California’s Automotive Research Center conducts extensive and thorough testing of high fuel efficiency, hybrid, plug-in hybrid and electric vehicles each year, and assigns ratings based on criteria important to buyers such as ride quality, safety and performance. “Today’s drivers are accustomed to a quick fill up at the corner gas station, but electric vehicle charging can sometimes take several hours,” said Moody. “With a little planning, electric vehicle owners can avoid a roadside inconvenience and, as technology improves, charging times will too.